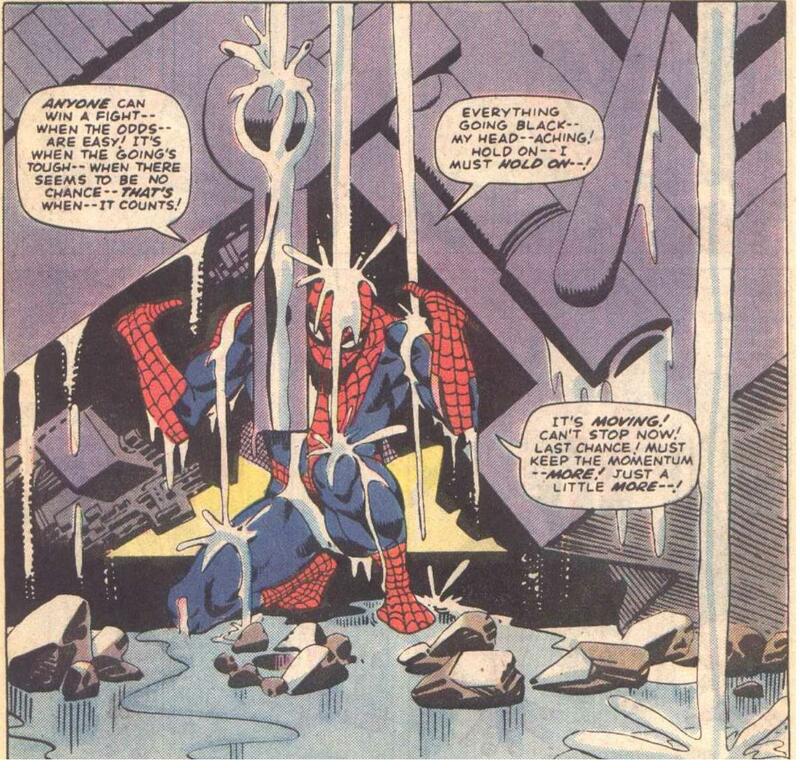 We’ve all been there, Spidey. Metaphorically speaking, of course. A week after receiving my query letter, an agent responded, asking for a one-page synopsis. Fortunately, I had one ready to go and sent it, trying hard to not get my hopes up. Not sure I would necessarily agree with most of that, but then again, I’m slightly biased. Hard to say. Oh well. Nothing else I can do about it. Probably like a lot of writers, there’s always going to be that dreaded feeling of second-guessing myself. Did I do enough? Is this right? I could (and do) ask myself these questions, but the more time I spend worrying about them, the less productive I am. It all comes down to doing the best I can, putting it out there and seeing what happens. Hopefully, it’ll yield positive results. If not, I’ve got no choice but to fix the problem where I can and see if that works. They don’t call it a never-ending process for nothing, you know. I’ve been working at this for quite a while, getting a little closer to success each time. The goal is obtainable, and I can do this. This long, drawn-out part can be pretty frustrating, but I’ve made it this far. A little longer won’t be that bad. -Movie of the Moment: CABIN IN THE WOODS (2011) I don’t really care for horror, but this was fun. If Joss Whedon is involved, you know it’s going to be written smart. I’d heard there was a unique twist to it, and there was (no spoilers here). What was most impressive was how they took a lot of horror movie tropes and made them integral parts of the plot, including the all-important setting up and paying off. Good attitude. Just what a writer needs. Congrats on getting a response to your queries! That’s AWESOME! The key to being a great writer is learning from the valid criticism while ignoring the rest.